Many of the reports and articles produced by High Road Strategies in the course of its work are available for download here, and some also are available in hard copy on request when you contact us. High Road Strategies, jointly with several different partners, has produced a large number of studies that examine and assess the economic and workforce issues associated with various energy and/or climate policies, at the state, national, and international levels. Supplying the Unconventional Revolution: Workforce Readiness. Prepared for The Energy Equipment & Infrastructure Alliance. Submitted by IHS Economics (in partnership with High Road Strategies, LLC). June 2015. Under contract to IHS, HRS principal Dr. Joel S. Yudken led the research team and was principal author of this report. Click for more information. If It Ain’t Broke, Don’t Fix It! Potential Impacts of Privatizing the Tennessee Valley Authority. Report prepared for the Economic Policy Institute, Washington, DC. June 5, 2015. HRS principal Dr. Joel S. Yudken carried out this study and was its author. Click for more information. From 2007 through 2010, High Road Strategies, working in conjunction with the Millennium Institute, produced a “trilogy” of studies for a variety of clients on the impact of climate change legislation on energy-intensive, trade-exposed manufacturing industries (such as iron and steel, aluminum, paper and chemicals). 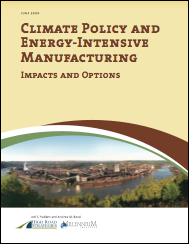 Climate Change and Energy-Intensive Manufacturing: Impacts and Options. Report for the National Commission on Energy Policy (NCEP)/Bipartisan Policy Center (June 2009). HRS was the lead on this study and principal author (with Andrea Bassi, Millennium Institute). Click for more information. Climate Change and Energy-Intensive Manufacturing: The Competitiveness Impacts of the American Clean Energy and Security Act of 2009. Report for the Environmental Defense Fund, New York, NY and Washington, DC (February 26, 2010). HRS led this study and was its principal author (with Andrea Bassi, Millennium Institute). Click for more information. Climate Change and Energy-Intensive Manufacturing: Alternative Policies and Effectiveness of Cost Mitigation Provisions in the American Clean Energy and Security Act of 2009. Report for the National Commission on Energy Policy and AFL-CIO Working for America Institute, Washington, DC (September 7, 2010). HRS led this study and was its principal author (with Andrea Bassi, Millennium Institute). Click for more information. High Road Strategies participated in projects led by the Consortium for Energy, Economics and the Environment, of the Ohio University Voinovich School for Leadership and Public Affairs (OU), that studied the impacts of climate and energy policies on Ohio’s economy, in general, and on Ohio’s large and vital manufacturing sector, in particular. HRS produced two major reports for these projects, listed below. HRS and OU continue to explore new opportunities to work on energy, environmental and economic policy issues important to Ohio, as potentially to other states as well. An Industrial Energy Efficiency Roadmap for Ohio Manufacturers: Potential, Barriers, and Opportunities (December 2011). HRS produced this report for OU’s Advanced Energy Manufacturing Policy Study—prepared for the Ohio Manufacturers’ Association—to explore and evaluate options for Ohio manufacturers to take advantage of new and emerging opportunities in advanced energy manufacturing. The HRS report presented a “roadmap” to help Ohio manufacturers identify and achieve potential cost-effective industrial energy efficiency gains. Click for more information. 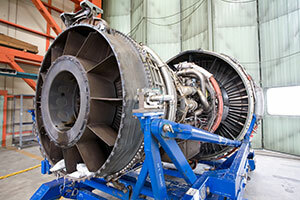 Risks and Opportunities for Ohio’s Manufacturing Sector in a Carbon-Constrained World. (2011) This is the second chapter in a major report produced by OU in conjunction with The Ohio State University and other partners, Assuring Ohio’s Competitiveness in a Carbon-Constrained World, prepared for the Ohio Department of Development. Click for more information. Working with various clients, High Road Strategies has produced several studies evaluating the trends, economic impacts and opportunities, and policy issues (particularly for the manufacturing sector) associated with the development and implementation of clean energy technologies—solar, wind, biofuels and other renewables; energy efficiency—at both the state and national levels. The Economic Benefits of Military Biofuels (November 2012). Environmental Entrepreneurs, a national group of business leaders founded to promote sound environmental policy that builds economic prosperity, commissioned High Road Strategies to evaluate the economic impacts of the U.S. military’s program to replace at least half the carbon-based fuels used in Navy and Air Force vehicle fleets with advanced biofuels by 2020. Click for more information. 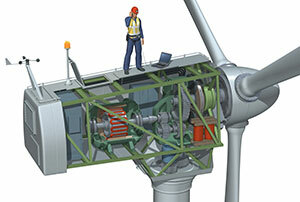 Working for Industrial Energy Efficiency (2012). HRS was principal researcher, author and contributor in the development of this informational brochure, produced by the AFL-CIO Working for America Institute to increase labor union awareness and understanding of the benefits of energy efficiency measures in the industrial sector. Clean Energy Manufacturing in California (July 17, 2011) and Clean Energy Manufacturing in Michigan (May 5, 2011). High Road Strategies worked with BlueGreen Alliance (formerly Apollo Alliance) staff to produce research reports evaluating clean energy manufacturing (CEM) activity and policies in California and Michigan. Drawing on these reports, HRS developed policy recommendations that formed the intellectual foundation for reports released by BGA, such as The Michigan Green Manufacturing Action Plan: Next Steps in a Clean Energy Manufacturing Policy (October 2011), which recommend steps that the states can take to promote the competitiveness of their clean energy manufacturing sectors and jobs. Click for more information. Assessing the Potential Information Technology Applications to Enable Economy-Wide Energy-Efficiency Gains (August 17, 2007). HRS produced this report to the American Council for an Energy-Efficient Economy, for the ACEEE—AeA-Europe Project. 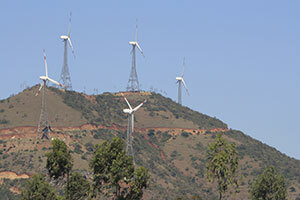 Its findings were referenced in the ACEEE report,Advanced Electronics and Information Technologies: The Innovation-Led Climate Change Solution. Click for more information. Although High Road Strategies’ work has mainly been focused on energy and manufacturing policy issues within the United States, it has been invited to participate in projects and present in major conferences in several different countries around the world, including Malaysia, India and South Africa. Energy Pricing and Manufacturing Competitiveness in Malaysia. In October 2011, HRS principal Dr. Joel S. Yudken prepared a report and presentation on how a proposal to reduce or eliminate energy subsidies in Malaysia might affect the country’s manufacturing sector, in support of a project of The Millennium Institute sponsored by the Economic Planning Unit of Malaysia’s Department of the Prime Minister. Click for more information. “The U.S. Climate Change Debate: State of Play and Competitiveness Issues.” Dr. Yudken was invited to participate and make a presentation at the Conference on Trade and Climate Change in Emerging Economies, Competitiveness and Intellectual Property Rights Dimension, held in New Delhi, India. March 30-31, 2010. The conference was sponsored by the International Centre for Trade and Sustainable Development (ICTSD), Geneva, Switzerland, and the Research and Information System for Developing Countries (RIS), New Delhi, India. “Climate Prosperity Strategy for Africa.” Dr. Yudken was invited to participate, make a plenary presentation and lead a master class on climate policy and economics at the City World Development Africa 2008 Conference, held in Johannesburg, South Africa, October 21, 2008. Manufacturing Insecurity, America’s Manufacturing Crisis and the Erosion of the U.S. Defense Industrial Base (April 14, 2010). This report, prepared for the AFL-CIO Industrial Union Council in conjunction with the U.S. Business Industry Council, Washington, DC provides an in-depth examination of how the loss of U.S. manufacturing competitiveness over the past decade, in particular, has contributed to the loss of domestic U.S. capacity in industrial sectors vital to national security. Click for more information. America’s Manufacturing Challenge (July 20, 2010). This is an unpublished scoping paper prepared for the Council on Competitiveness, Washington, DC, outlining in broad strokes the multiple challenges to revitalizing the U.S. manufacturing base, after years of decline. Revitalizing American Manufacturing (2003, revised 2004) and Revitalizing American Manufacturing, A State and Local Agenda (2004), which include an analysis of—and policy recommendations to address—America’s manufacturing competitiveness challenge, both nationally and at the state level, respectively. High Road Strategies has begun production on a new series of occasional policy position papers, which will draw upon and extend its research and project work in areas such as manufacturing, climate and energy policy and manufacturing competitiveness. Other topics might include policy issues associated with workforce and economic development and technology innovation and manufacturing. These reports will be featured on the website, as well as distributed to a wider public audience through other means. The Case for Industrial Policy (or Something Like It), Free-Market Failures and the Need for a New Economic Synthesis (forthcoming). “Climate policy and energy-intensive manufacturing: A comprehensive analysis of the effectiveness of cost mitigation provisions in the American Energy and Security Act of 2009.” Co-author (with Andrea Bassi). Energy Policy (2011). 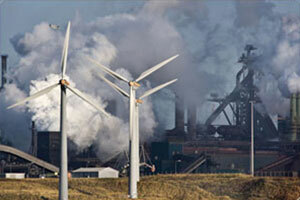 “Climate Change and U.S. Competitiveness,” Co-author (with Andrea Bassi). Issues in Science and Technology, Volume XXVI, Number 1, National Academies (Fall 2009). “Potential Challenges Faced by the U.S. Chemicals Industry Under a Carbon Policy,” Co-author (with Andrea Bassi). 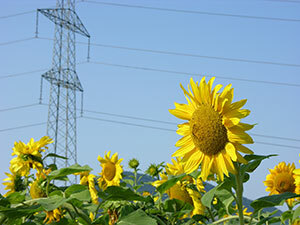 Special Issue “Energy Policy and Sustainability,” Sustainability 2009 1, 592-611. “Climate policy impacts on the competitiveness of energy-intensive manufacturing sectors.” Co-author (with Andrea Bassi. Matthias Ruth). Energy Policy 37 (2009) 3052-3060. “Funding An Energy Alternative.“ TomPaine.com. January 18, 2007. “Investing in America.” TomPaine.com. November 13, 2006. The Millennium Institute and High Road Strategies have developed a productive and successful partnership over the years that has led to the realization of a number of highly regarded studies. Together we have worked on a several successful projects, resulting both in follow-up and new projects, confirming the quality and originality of the work, timely delivery and value for money. Working with HRS has proven to be very rewarding. We at the Millennium Institute have always been impressed by the professionalism and high level of experience brought to the partnership for the realization of joint projects.